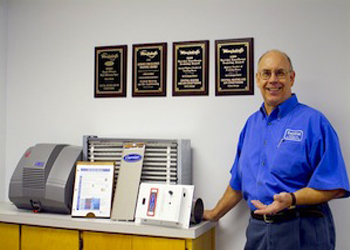 Central Heating and Air Conditioning has been a highly respected full service heating and air conditioning company serving Atlanta customers for over 70 years. We have run our company on the basic principle that knowledge is the key to serving our customers. Education and Training have been the cornerstone upon which our company has been built. As one of Georgia’s number one rated training companies our technicians have the knowledge, skills and resources to service our customers heating, cooling and home performance needs. 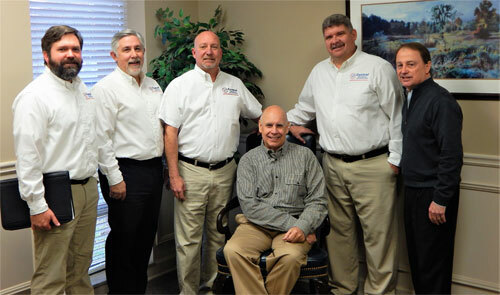 We take pride in our customer focused heating and air conditioning company and the services that we provide. We employ highly trained people at all levels whose goal is to make our company the best service company in the Atlanta market. Our entire staff is dedicated to providing timely and professional service for you and your families unique needs, and since we have installed thousands of systems in the greater Atlanta area, we have earned the reputation for doing the job right the first time. Don’t take our word for it, check and see what our customers are saying about us click here. Our Design Engineers, Indoor Air Quality Specialists and Building Performance Institute (BPI) certified Building Analyst Professionals are experienced in designing home performance improvement packages and heating and air conditioning systems. They are specialists who will tailor your project to the specific requirements of you and your family. Our Installation Department will take good care of your home and will brief you regarding the scope and impact of the installation prior to starting the job. And to take care of your system, we have a team of NATE trained repair and maintenance service technicians with fully stocked trucks, whose mission is to ensure your comfort and safety, while also working to prolong the life of your system. Our customer service group is second to none in the industry. They will do their best to arrange your repair or maintenance visits, in a time sensitive manner and will make every effort to accommodate your request. We understand busy schedules and the pressures of everyday life and we want you to rely on us to make your life easier and more comfortable. At Central your comfort and satisfaction is our business! We offer extensive warranties and a 100% satisfaction money-back guarantee. We have always appreciated the support of our valued customers over our sixty-six year history and look forward to serving them in the years to come. Do not hesitate to give us a call for your heating, air conditioning and home performance needs and experience the difference we can make.